We pride ourselves on serving with a spirit of excellence, being a team is comprised of some of the most talented practitioners in the industry of barbering. We gladly accept our role in such a rich tradition of barbering. 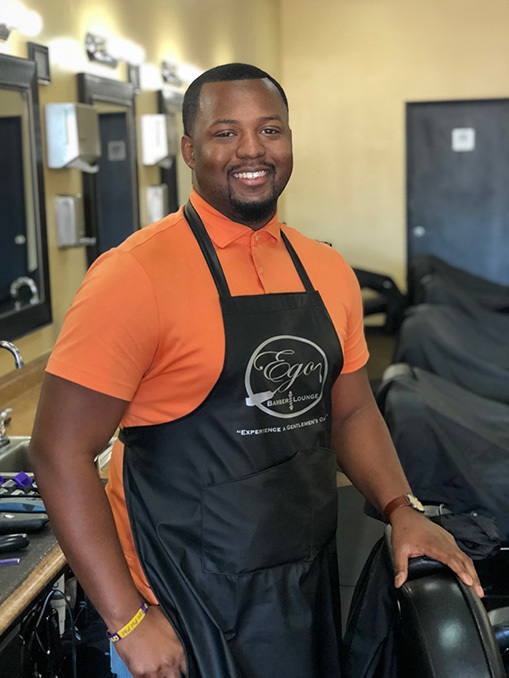 Jacob is the owner and operating manager of Ego Barber Lounge. He is a graduate of both North Carolina Central University and Park West Barber School. 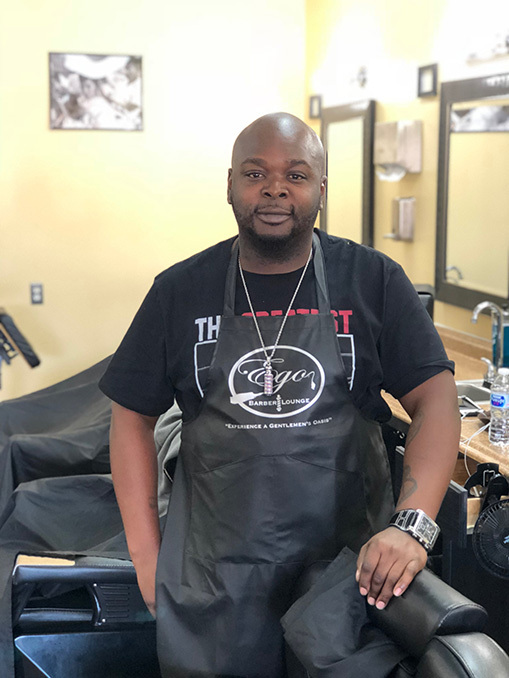 With 6 years of industry experience Jacob specializes in haircuts ranging from retro to contemporary, as well as the traditonal hot towel razor shave. Kermaine is a graduate of Park West Barber School. 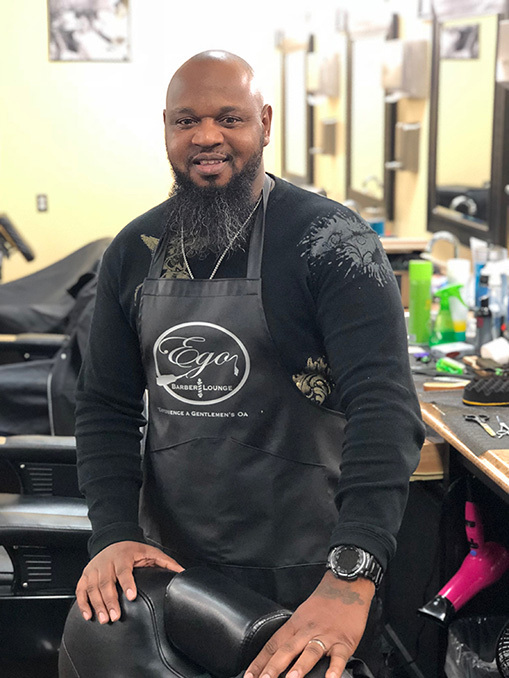 With over 7 years of industry experience he has a wealth of knowledge, and specializes in cutting techniques in all hair textures and types from straight hair to curly and coarse. Martin is a graduate of D&D Barber Institute. He is a barber that is passionate about his craft, and it’s evident in his attention to detail and razor work. Martin specializes in deep cleanisng and oil treatment of the beard. READY FOR AN EGO BOOST? Get serviced by one of the most talented practioncers in the industry of barbering. Why wait, book now.